Last weekend we gathered at my friend’s place for a pot luck party. Each of us contributed and brought along a table full of food. There was so much delicious food prepared by everyone that it is hard to control oneself from going back for more, twice and even third servicing. I was really stuffed at the end of the weekend feast. Gratefully my wife brought along some VITAGEN LESS SUGAR for everyone to drink. While we can’t resist the temptation of good food, at least we should be good to our gut, especially mine. She knew I would not be able to control myself in front of all these delicious food. 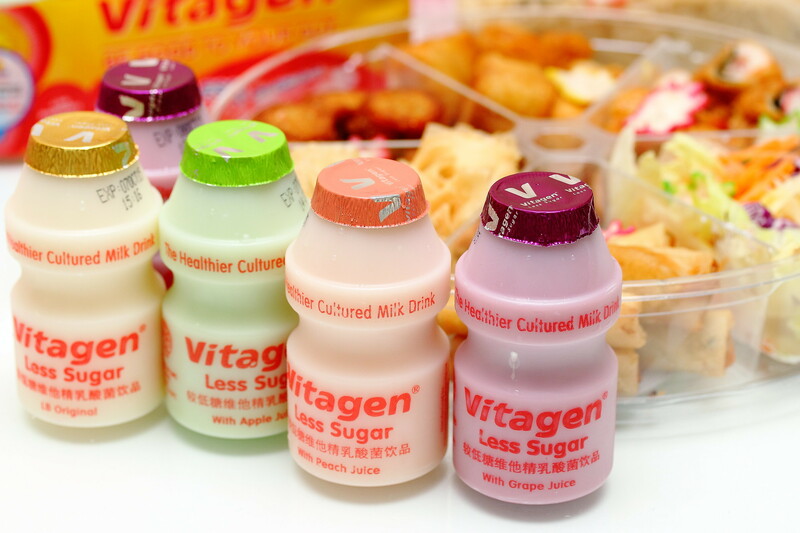 VITAGEN LESS SUGAR is a fermented milk drink made by fermenting skim milk with billions of live probiotic cultures. It comes in 4 different flavours - Original, Grape, Peach and Apple. It also has less sugar content compared to regular cultured milk drinks. Packed in the bottle is the goodness of Probiotic cultures (good bacteria) and high Prebiotic fibre (dietary fibre) that aids in digestion and having a good healthy digestive system. 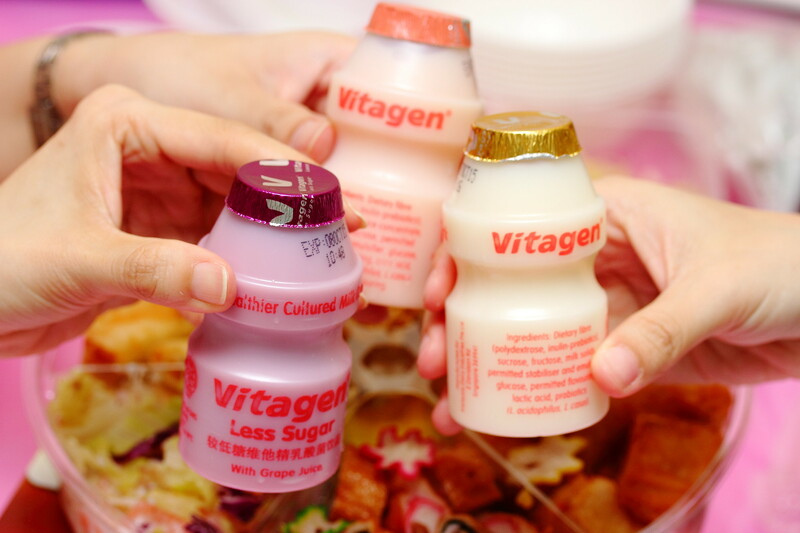 Cheers to good health and gut with VITAGEN LESS SUGAR. VITAGEN is available at all leading hypermarts, supermarkets, convenience stores, petro kiosks, provision shops and minimarts. 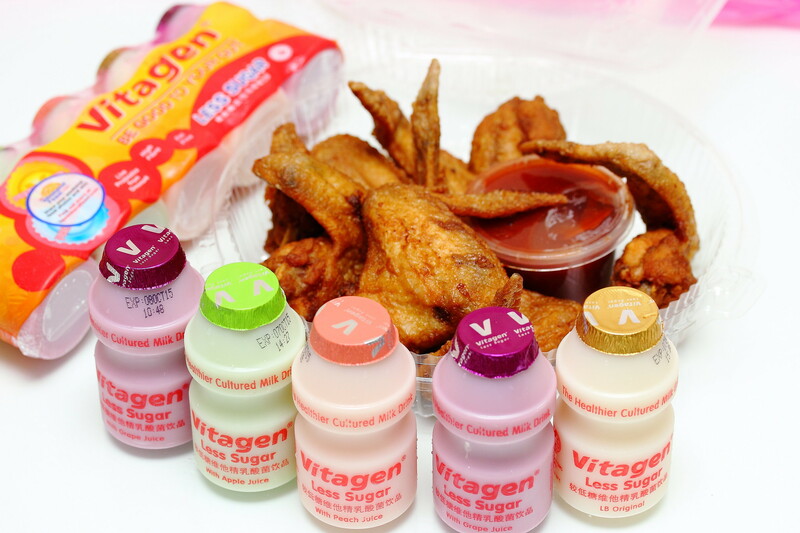 For more convenience, VITAGEN can be delivered directly to the doorstep. 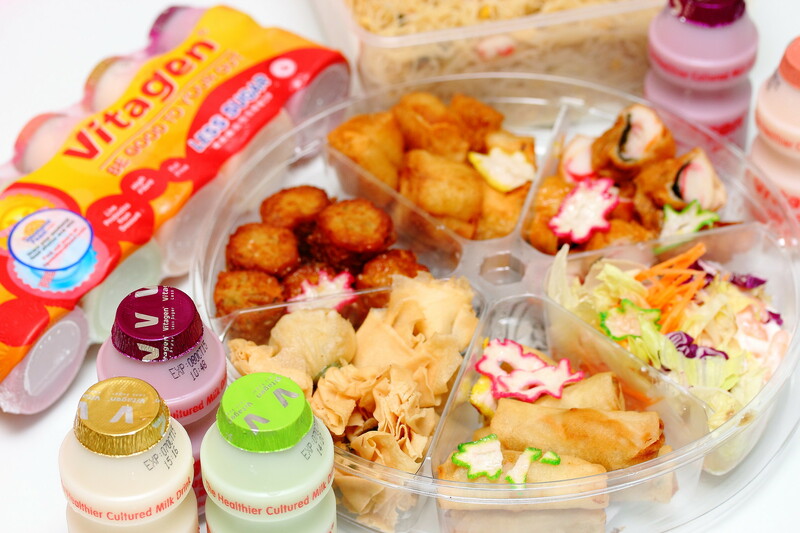 Contact VITAGEN Home Delivery Service Hotline at 6282 5949 for enquires. Currently, VITAGEN is running a contest from on 31st August until 4th October 2015. .lhgzInstagram, tweet or upload your feast photos with #sgweekendfeast and #vitagensg for a chance to dine with Chefs Sam & Forest Leong at an exclusive BBQ. Plus, win amazing weekly and daily prizes such as holidays abroad, private yoga or pilates classes and more!